Merry Christmas all, what do you have for dinner on Christmas Day? For me, nothing beats Turkey & Ham. 2 weeks holiday, so much to do, writing lists. Preparing the materials for some training over the break. Using #Adobe presenter to create a scorm presentation. 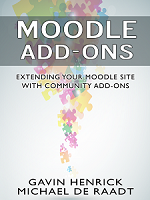 Love the way it works in #Moodle with minimal settings.